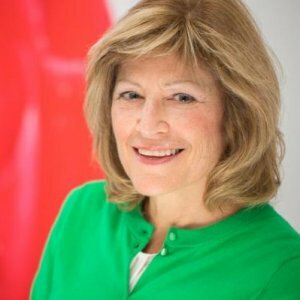 Shirlee Sharkey is president and chief executive officer of Saint Elizabeth, a leading national health care organization known for its social innovation, strong financial performance and pioneering practices. As an award-winning and diversified not-for-profit, Saint Elizabeth employs over 8,000 people and has delivered 50 million health care visits in the past decade. Shirlee’s commitment to community advancement is evident in her leadership and involvement on many boards, ranging from health to education. In January 2014, Shirlee was appointed to chair the Ontario Health Technology Advisory Committee, a standing committee for Health Quality Ontario. She also serves on the Ontario Health Innovation Council. She is a past chair of George Brown College in Toronto and a former president of the Canadian Home Care Association. In 2007, the Ontario Minister of Health and Long-Term Care appointed Shirlee as an expert advisor on staffing and care standards for long-term care homes in the province. Academically, Shirlee is cross-appointed to the University of Toronto’s Lawrence S. Bloomberg Faculty of Nursing and the Institute of Health Policy, Management and Evaluation as an adjunct professor. She has appeared on a number of media panels and is widely published on home and community-based health care, health transformation, social innovation and breakthrough leadership. The Canada Order of Excellence is the highest national quality award of Canada, administered by Excellence Canada, a not-for-profit organization on behalf of the Governor General. Recognizes health care providers or teams for acts of caring and compassion that go above and beyond the call of duty, which inspire others and have a profound and lasting impact. (Canadian College of Health Leaders). A commemorative medal created in 2012 to recognize significant achievements by Canadians and mark the 60th anniversary of Queen Elizabeth II's accession. Recognizes the outstanding capabilities and achievements of a senior executive who has made innovation a focal point of his or her organization’s strategy in order to create high impact results. (Canadian College of Health Leaders). Every patient nearing end-of-life should have access to quality palliative care in the location of their choice, according to an expert Ontario panel. Only 30 per cent of Ontarians with chronic illness receive hospice or palliative care when they die, part of what needs to change as population ages, report says. Dr. Andreas Laupacis, Chair of the Board of Directors of Health Quality Ontario (HQO), today announced the appointment of Shirlee Sharkey as the new Chair of the Ontario Health Technology Advisory Committee (OHTAC). Released yesterday, the report by Ontario health-care expert Shirlee Sharkey recommends guidelines that, in the next four years, could provide the province's 75,000 nursing home residents with up to four hours of care each day, depending on their needs. Keynote: The one-of-a-kind health care show – starring YOU! Plenary: That was then; this is now. OMG, here’s tomorrow! When everything is innovative, nothing is. Innovation is defined in myriad ways, but it is really a process, a mindset, a framework. It’s looking at your work in an entirely new way that allows new inputs and ideas to flow. This letter is part of a series of Open Letters from Canadian leaders in health care. An op-ed on change and innovation in health care.